When will be We Are Savvy next episode air date? 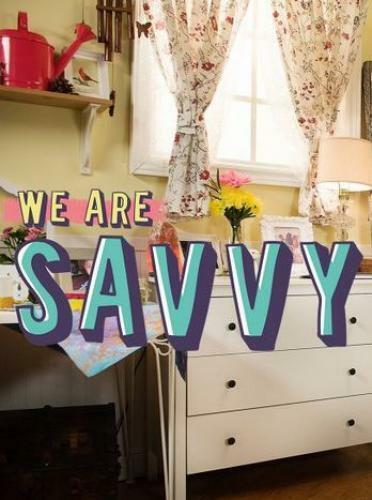 Is We Are Savvy renewed or cancelled? Where to countdown We Are Savvy air dates? Is We Are Savvy worth watching? Tehya, Sarah, and Spencer are BIG fans of the internet. So when the world of all things weird, wacky, and wonderful becomes WAY too irresistible, they combine their talents to start a cool web show called Savvy! Filled with handy DIYs, interviews from the worlds of music, celebrity, technology, sports and fashion, and adorable cat videos, Savvy is for everyone from girly-girls to tomboys. Tehya, Sarah, and Spencer are ready to show the world what they're really made of… and what they make! Sarah's insta-meme frame invention gets them talking about the Internet's greatest gift to humankind: the meme. They try DIY felt badge, and try to create a viral video by getting wacky. We Are Savvy next episode air date provides TVMaze for you. EpisoDate.com is your TV show guide to Countdown We Are Savvy Episode Air Dates and to stay in touch with We Are Savvy next episode Air Date and your others favorite TV Shows. Add the shows you like to a "Watchlist" and let the site take it from there.